When running a business it’s important to understand what legal documents are crucial to keep on file. When starting a new business the IRS makes you file a variety of forms to register an entity for tax purposes. The most basic of these forms is a form SS-4. Essentially this is your EIN or Tax ID registration Card. This form must be kept in a secure place because you will be required to provide the Form SS-4 during various phases of your business. Acquiring a small business loan is one of them. The business loan process can be a bit overwhelming at times. You need to research your loan options, gather documentation, and complete paperwork. The thing is, more of us have enough on our plate and the loan process is wholly unfamiliar to us. Especially when it comes to the documentation that needs to be gathered to apply for a loan. 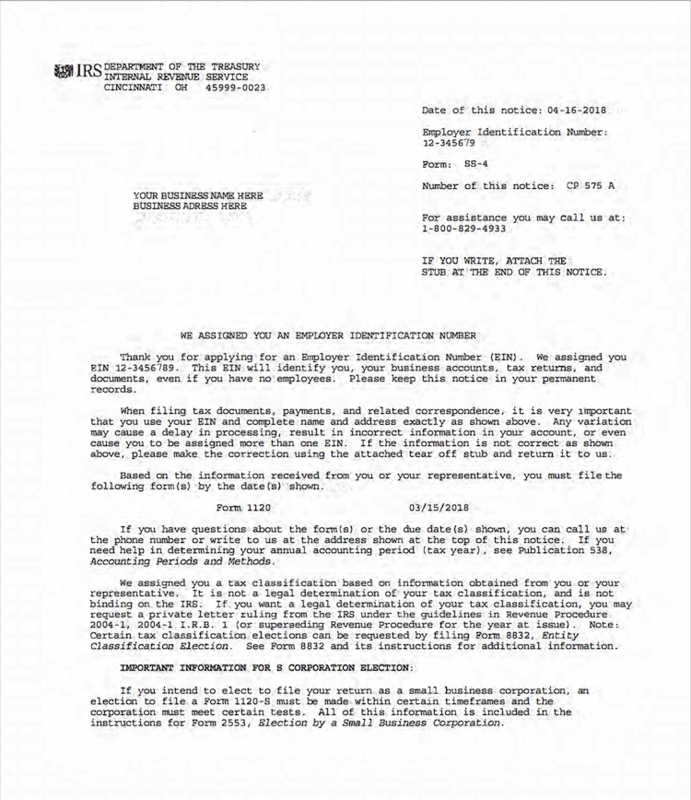 One such document is Form SS-4, which lenders may request when submitting your application. What does a ss-4 form look like? If you’re unsure of how to get your Form SS-4, don’t worry, we’ve got you covered. You might be thinking what is Form SS-4? Or, What is an ss4 letter? Form SS-4/ ss4 letter is an IRS form that corporations use to apply for an employer identification number (or EIN). 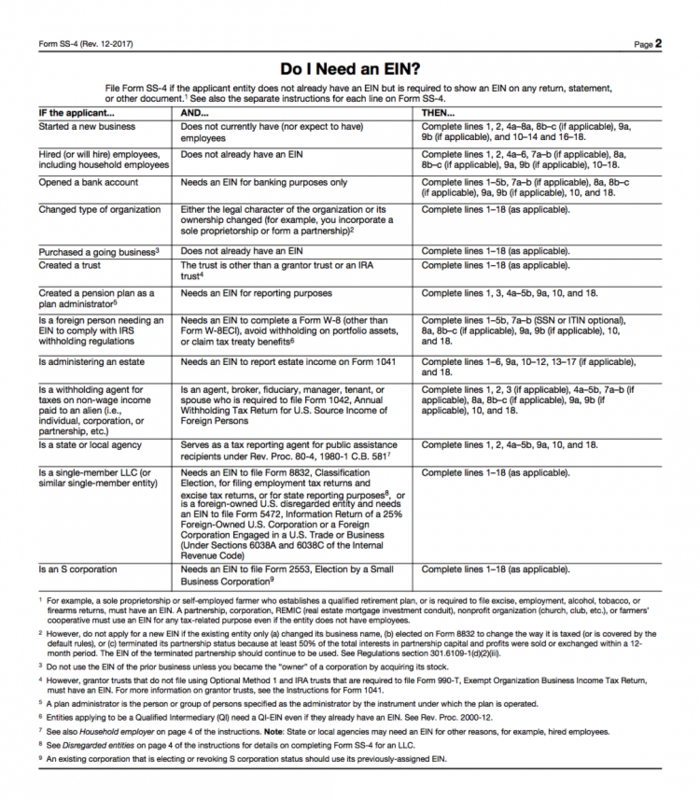 In a nutshell, your EIN is what the IRS uses to identify your business and Form SS-4 Letter is the official IRS form that allows you to obtain an EIN number. 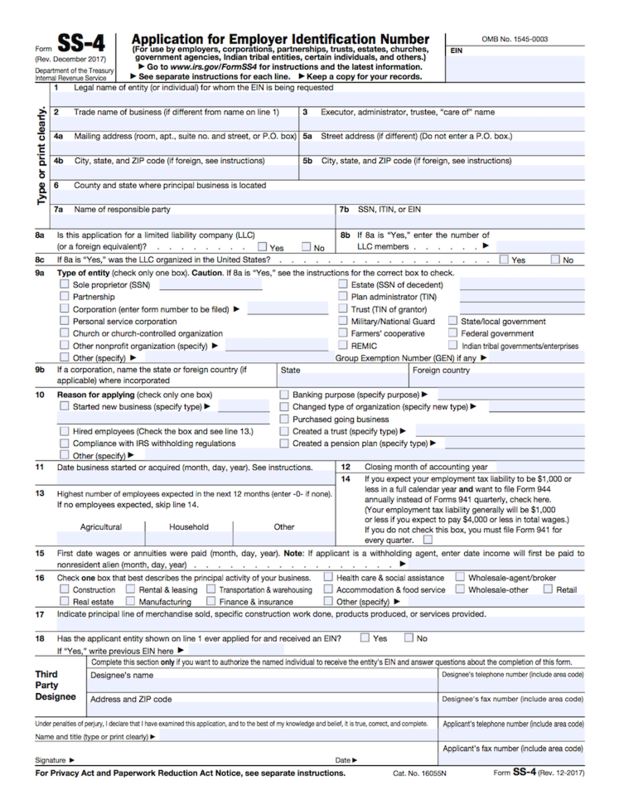 If you don’t have a copy of Form SS-4, or have not yet applied for an EIN, you can now use the IRS’ online application tool to submit your Form SS-4 and obtain it. If you do not wish to apply online through the online application tool on the IRS website you can complete a form and send it off it to the department of treasury. If your lender requires a Form SS-4 copy, you’ll need to provide a copy or obtain proof of having submitted the form to the IRS. Keep in mind that the IRS won’t give you a copy of Form SS-4 itself if you’ve already filled it out previously, but rather an EIN assignment letter which will serve as proof to lenders of having submitted Form SS-4 to the IRS and obtained your EIN. Any bank accounts that you opened under the corporation required a Tax ID – call your bank to retrieve a copy. Once you have your EIN, you’re ready for the next step. Now, it’s time to take your EIN and call the IRS’ Business & Specialty Tax Line at (800) 829-4933. The B&S Tax Line is open between 7 A.M. and 7 P.M., Monday through Friday, so make sure you call between those days and hours. Next, once you’ve been connected with a B&S Tax specialist, provide them with the requested information about your company for verification. This will include your EIN and is the reason you gathered it in the previous step. You’ll also need to verify that you yourself are an authorized contact from within the company. This typically means you’ll be asked to provide your title in the company. Once verified, all you need to do is request a copy of your EIN assignment letter from the specialist. It’s important that you not try to request a copy of Form SS-4 as the IRS doesn’t authorize providing copies of completed tax documents like Form SS-4 letter. You need to request a copy of your EIN assignment letter specifically. Also, keep in mind that, in most cases, the IRS will mail the requested letter copy to the corporate address on file. You can also offer an alternative address or business fax, though, if you need it faster for your loan application. Obtaining a copy of Form SS-4 is just one document required to apply for and obtain a business loan. However, as you can see it’s not at all difficult to obtain. All it requires a bit of know-how and some time spent on the phone. Whether you’re already beginning the process of obtaining a business loan or are considering it for the future, it’s wise to begin collecting the necessary documents now so you’ll have less to worry about later. Plus, you’ll avoid any potential delays when applying, which is especially important if you’ll need the funds fast when it comes time to apply. The Form SS-4 Letter is very important to keep on hand. You never know when you will need it.